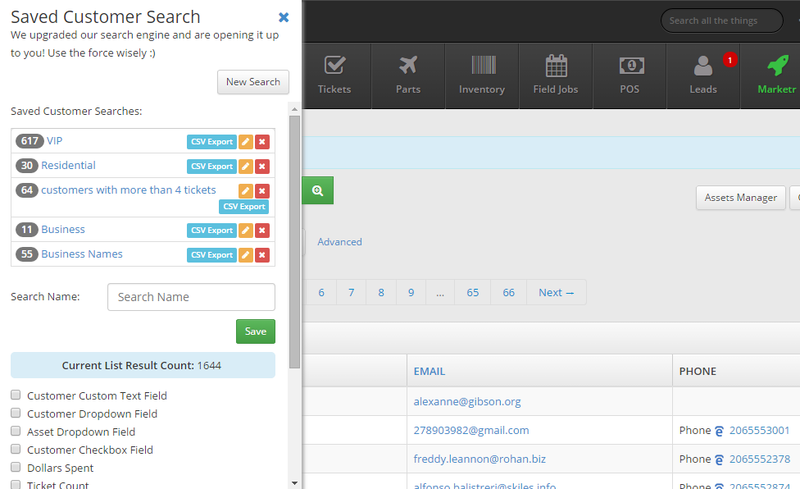 You may have noticed a green search button when you head over to your customer page in the software. This newly upgraded customer list feature will allow you to quickly and easily create filtered customer lists that you can use in your Marketr campaigns! 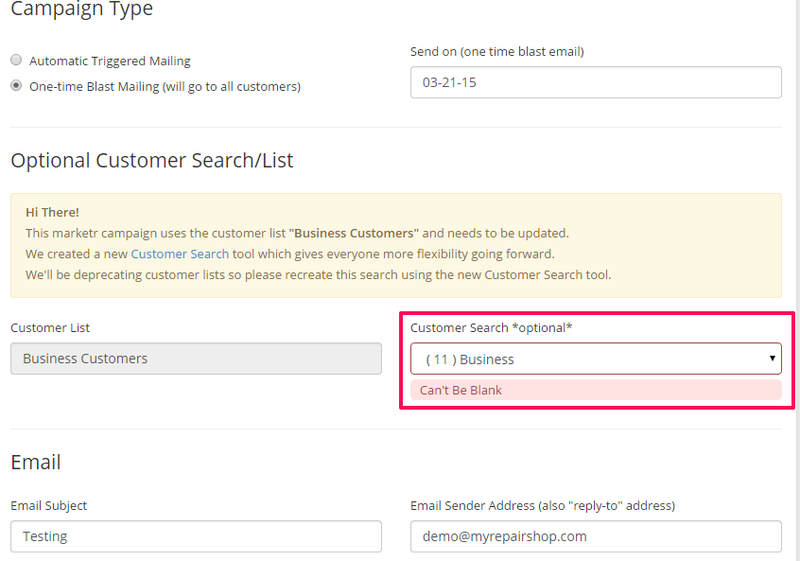 To learn more about the Saved Customer Search module, see our article here. Once you're happy with your list, head over to the Marketr tab. If you used an old customer list before, you may notice that a warning has appeared on some of your campaigns, asking you to add a new customer search to them. Just edit the campaign, select the new customer search you created, and save. Just name and save your search, and assign it to an active Marketr campaign.